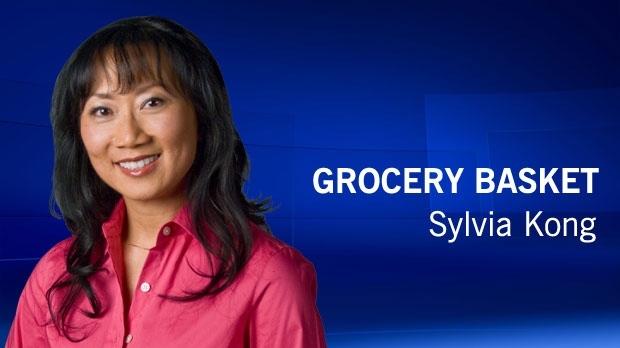 Once a month, Home Economist Sylvia Kong creates a grocery list and compares prices at major Calgary stores. The price comparison is done as part of an ongoing series on price checks and is aired monthly on the CTV News at Noon. The prices are a snapshot on the given day. Co-op came out on top in CTV Calgary's price comparison of grocery items on Sunday, February 7, giving shoppers the best buy for their money. Co-op came out on top in CTV Calgary's price comparison of grocery items on Sunday, January 3, giving shoppers the best buy for their money. Superstore came out on top in CTV Calgary's price comparison of grocery items on Sunday, November 8, giving shoppers the best buy for their money. Superstore came out on top in CTV Calgary's price comparison of grocery items on Sunday, October 4, giving shoppers the best buy for their money. Safeway came out on top in CTV Calgary's price comparison of grocery items on Sunday, September 13th, giving shoppers the best buy for their money. Co-op came out on top in CTV Calgary's price comparison of grocery items on Sunday, August 9th, giving shoppers the best buy for their money. Superstore came out on top in CTV Calgary's price comparison of grocery items on Sunday, July 5, giving shoppers the best buy for their money. Superstore came out on top in CTV Calgary's price comparison of grocery items on Sunday, May 3rd, giving shoppers the best buy for their money. Superstore came out on top in CTV Calgary's price comparison of grocery items on Sunday, March 1st, giving shoppers the best buy for their money. Superstore came out on top in CTV Calgary's price comparison of grocery items on Sunday, February 1st giving shoppers the best buy for their money. Sobeys came out on top in CTV Calgary's price comparison of grocery items on Sunday, January 4th giving shoppers the best buy for their money. Superstore came out on top in CTV Calgary's price comparison of grocery items on Sunday, December 7, giving shoppers the best buy for their money. Safeway came out on top in CTV Calgary's price comparison of grocery items on Sunday, November 2, giving shoppers the best buy for their money. Co-op came out on top in CTV Calgary's price comparison of grocery items on Sunday, October 5, giving shoppers the best buy for their money. Superstore came out on top in CTV Calgary's price comparison of grocery items on Sunday, September 14, giving shoppers the best buy for their money. Superstore came out on top in CTV Calgary's price comparison of grocery items on Sunday, August 10, giving shoppers the best buy for their money. 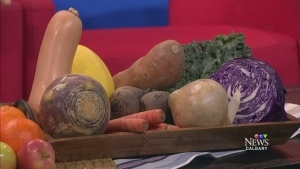 Superstore came out on top in CTV Calgary's price comparison of grocery items on Sunday, June 15, giving shoppers the best buy for their money. Superstore came out on top in CTV Calgary's price comparison of grocery items on Sunday, May 11, giving shoppers the best buy for their money. Sobeys came out on top in CTV Calgary's price comparison of grocery items on Sunday, April 13, giving shoppers the best buy for their money. Superstore came out on top in CTV Calgary's price comparison of grocery items on Sunday, March 9, giving shoppers the best buy for their money. Sobeys came out on top in CTV Calgary's price comparison of grocery items on Sunday, January 19, giving shoppers the best buy for their money. Superstore came out on top in CTV Calgary's price comparison of grocery items on Sunday, January 19, giving shoppers the best buy for their money.